Order it fatty. There is nothing like it. The flavour is in the fat. It’s as tender as butter and so succulent, I found myself licking my fingers in public. 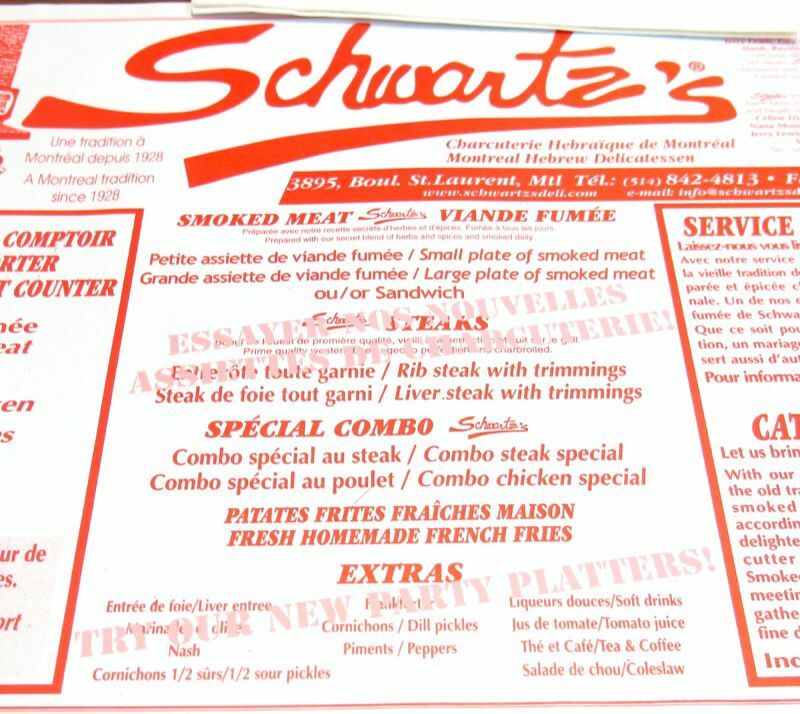 Schwartz’s Deli is a Montreal institution; therefore, the Montreal Smoked Meat is an important Canadian food. 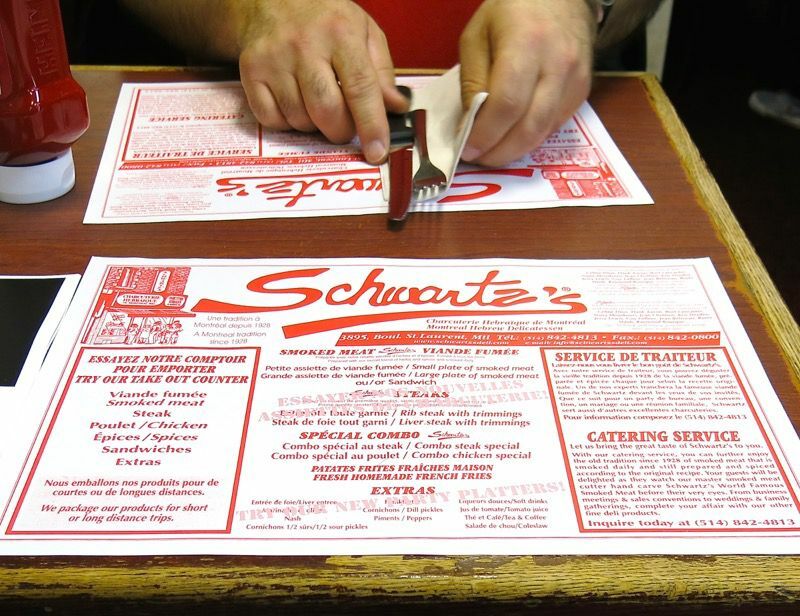 Founded in Montreal in 1928 by Romanian immigrant, Reuben Schwartz, Schwartz’s Montreal Smoked Meat set the standard all others rise to meet. As a young lad, Schwartz delivered smoked meat by horse and buggy for other wholesalers, but soon realized he could make a better and cheaper product himself in a more natural fashion. 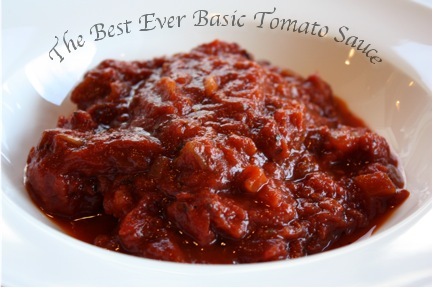 There are no chemicals or preservatives in this traditional and top secret family recipe. These days, it is the iconic Canadian Alberta Beef brisket that is marinated raw for 10 days with a secret blend of spices that are also sold in the Deli. The brisket is then smoked for 8 hours, and finally steamed for three before ready to serve. 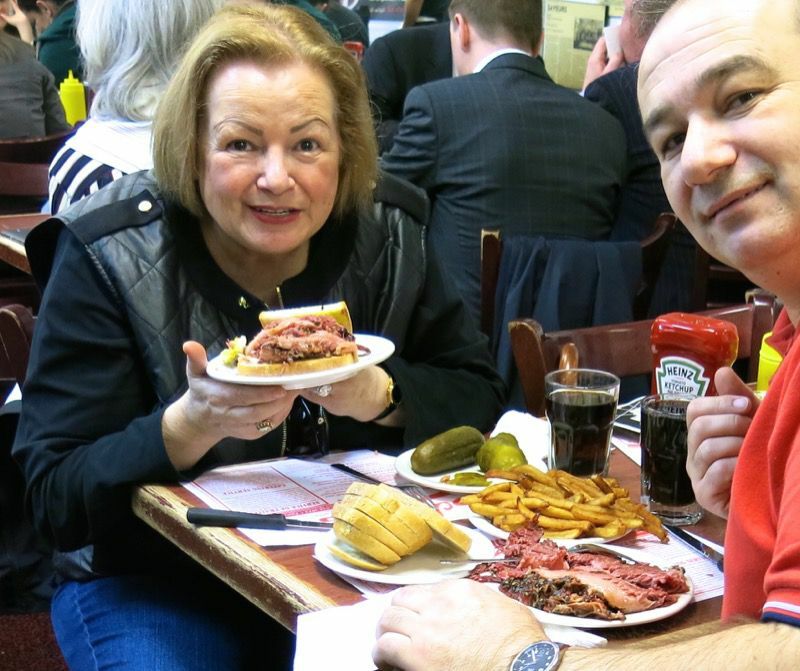 The recent buyout by Celine Dion and Paul Nakis has not affected Schwartz’s Smoked Meat recipe or the restaurant experience. 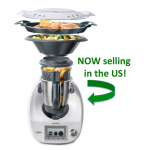 It has remained unchanged for years with that rare “if it works, don’t change it” appeal. 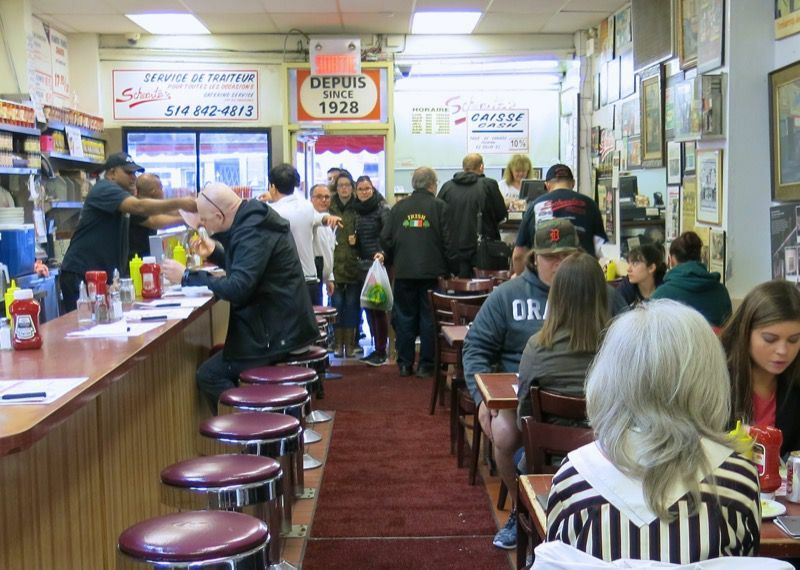 Ten years ago we stood in line like everyone else for our first Montreal Smoked Meat experience here, and have had our mouths watering for more ever since. Seriously. The anticipation was palpable. We were not disappointed. Eighty seven years later, they are still slicing the succulent fat capped briskets by hand and serving the melt-in-your-mouth rich smokey slices on rye bread with mustard. A giant house made dill pickle, french fries, and a Cherry Coke complete the iconic meal. They smoke turkey, chicken and I have heard their liver is also unforgettable. We will never get to the other items on the menu. The beef brisket is that good. I had visions of flying one to Edmonton for 10 years, and now am definitely taking some home. You can read the menu below, or read it here. 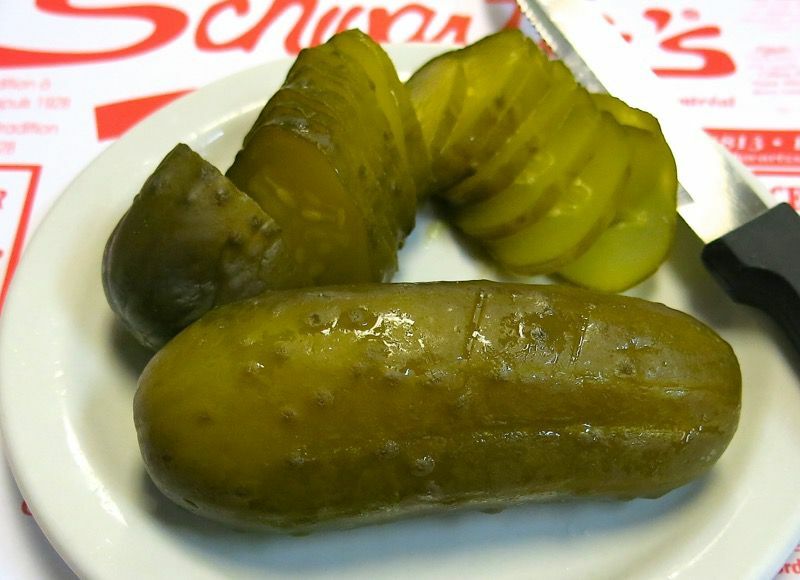 Interestingly, they serve a half sour pickle which is my personal favourite, below, on the right. A kind gentleman shared his with me. That’s what happens at Schwatz’s. It is communal dining at its best. Meet the crazy people in the line up. Anyone waiting for food in a line up must be crazy, right? All I can say is they are my kind of crazy! I recommend off meal hours for a shorter line up, but this taste experience is worth the wait. Look at that sandwich. I have come a long way, baby! I would have never let fatty meat pass between my judgmental lips before eating here. Ten years ago, the gal we sat beside could tell we were “first timers” and set about to give us the quick spiel: order fatty. It is what Montrealer’s do. The flavour is in the fat. It must have been the day. I went for it. I did not regret it then. Have never forgot that advice, and did not regret it now. The first piece literally melted into a puddle of deeply rich smoky meat flavour on my tongue. Supremely smoked lip smackin’ pleasure. 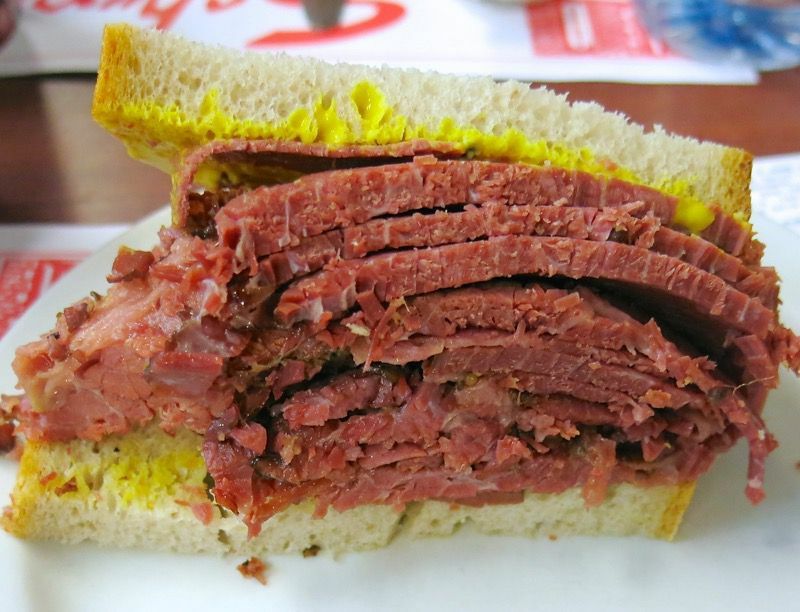 So what makes Montreal Smoked Meat different from other deli meats? First, it is cut. The brisket in Canada is butchered differently than that of the United States. 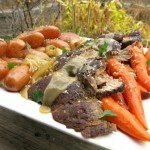 The whole brisket in Canada includes part of the American brisket and navel. 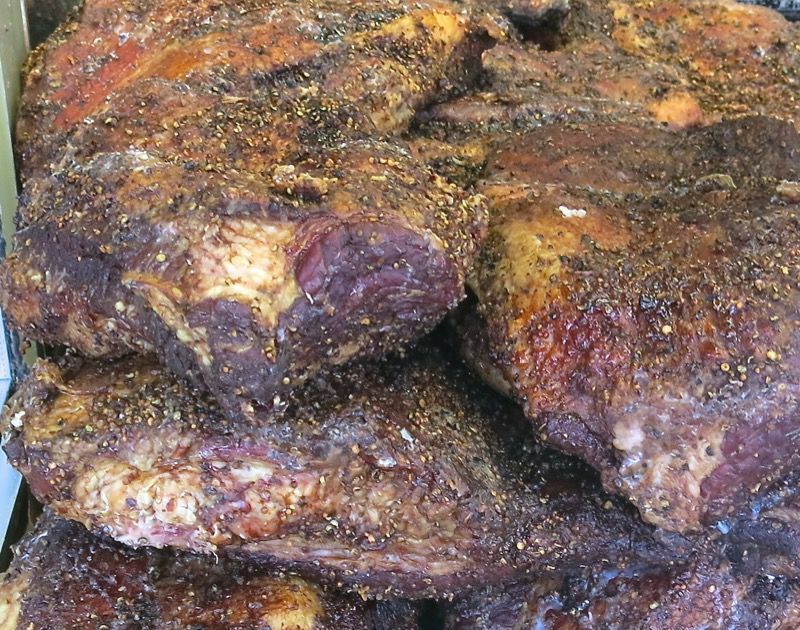 Therefore, when you order fatty or lean smoked meat, you’ll receive meat from a different portion of the whole brisket. 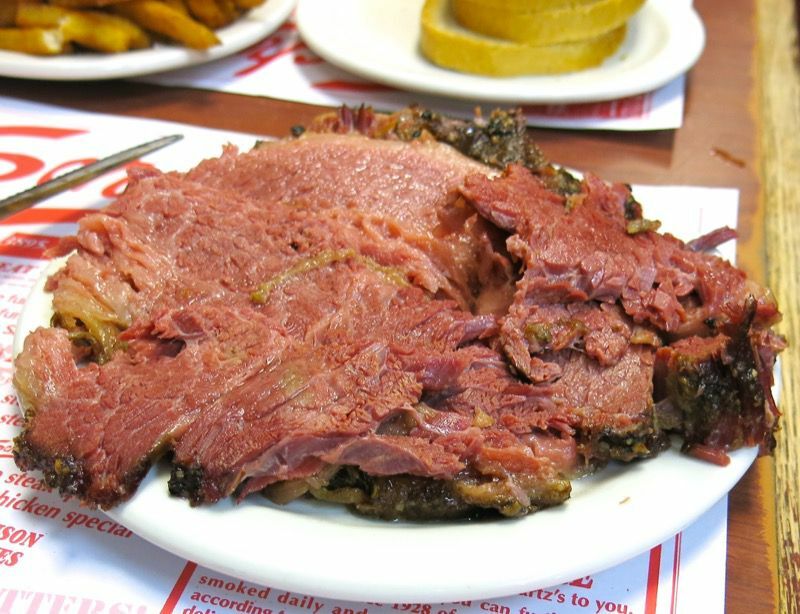 Montreal Smoked Meat contains very little to no sugar on the rub. Black pepper, coriander seed, garlic, mustard seed, bay leaf, and other aromatics are combined with the smoke and process to create this unforgettable taste of place. The rye bread. The mustard. The double crisp fries and the iconic pickle each contribute to the dining pleasure. As does the cherry coke. Some foods just don’t pair as well with a great wine. 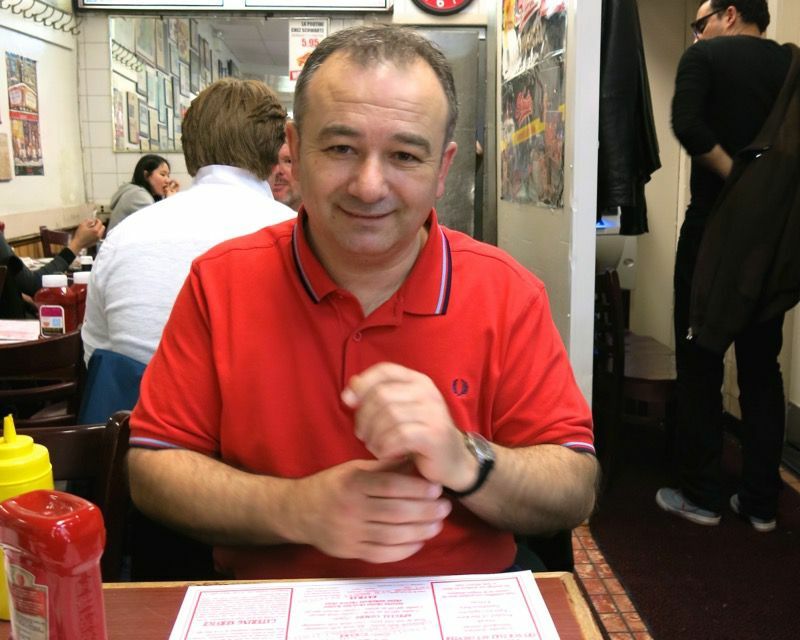 As Romanian immigrant, Reuben Schwartz, was a Kosher Jew and could not eat pork, beef was the protein of choice, and much more readily available than it was in Eastern Europe. 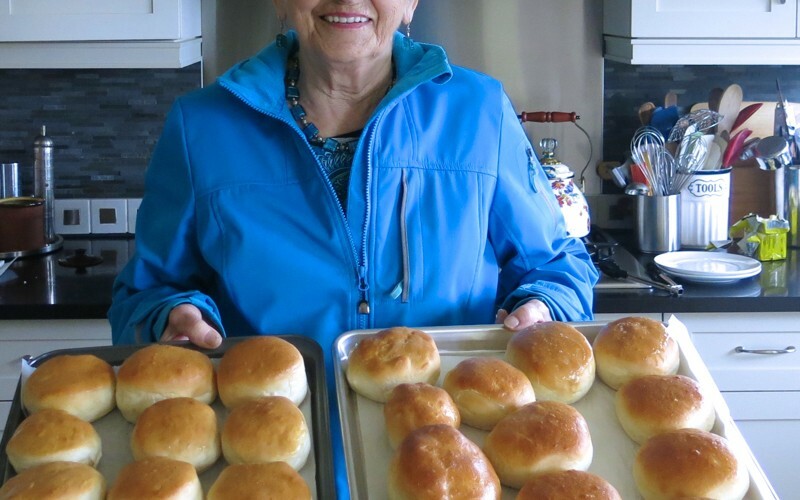 Immigrating to the New World in the 19th century, the bulk of the Romanian immigrants settled in New York and Montreal and translated the cuisine of their motherland to the ingredients available in the New World. 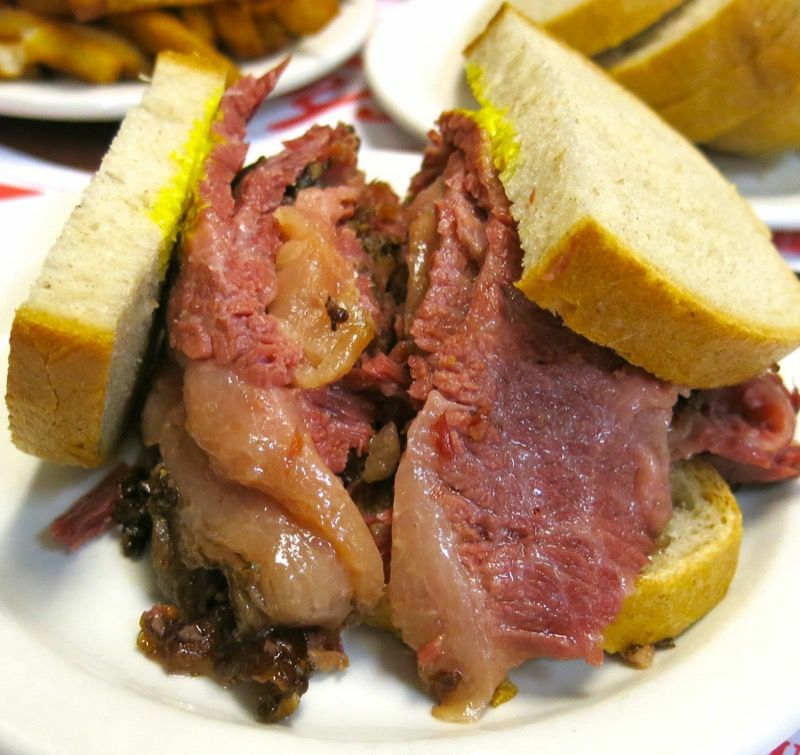 Over time, both Montreal Smoked Meat and Pastrami emerged, believed to be transformed from a much earlier version of Pastramă, a more ham-like meat than these two versions of smoked meat we have come to revere. Without the taste experience, the picture cannot tell the story. That is part of the magic. The unexpected and rare succulence and rich depth of flavour this “corned” or cured meat offers is a completely new experience to most. We must have been worshiping our bounty with a little extra zeal as the waiter offered to take our photo! Can you tell I am vibrating? I could only eat half, but packed the other for back at the hotel, later. If the walls of this long and narrow space could speak, oh, the stories they could tell. You could buy the book and read them while you much one of the sandwiches! 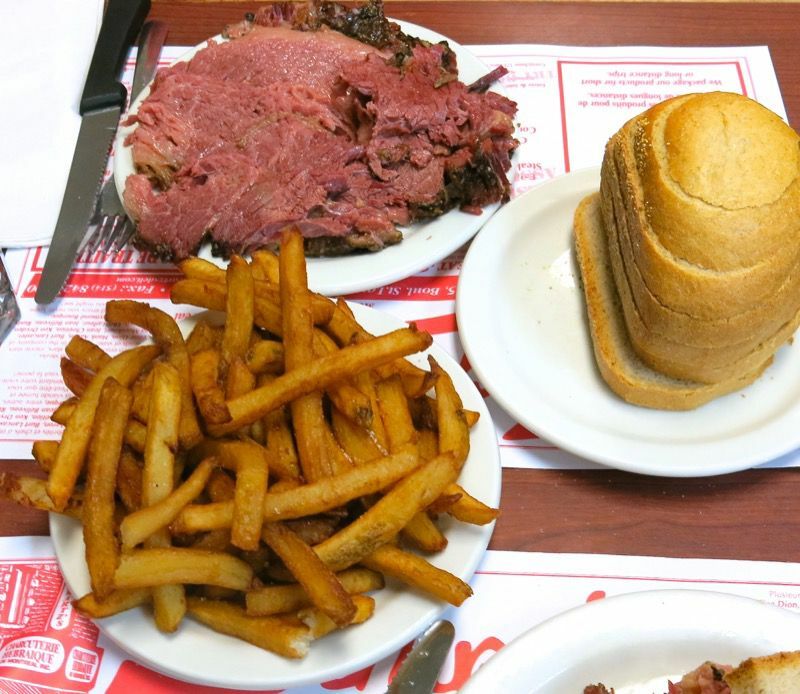 Ever been here, or made your own Montreal Smoked Meat? 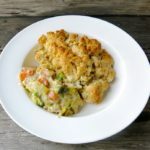 Share your recipe! PS. 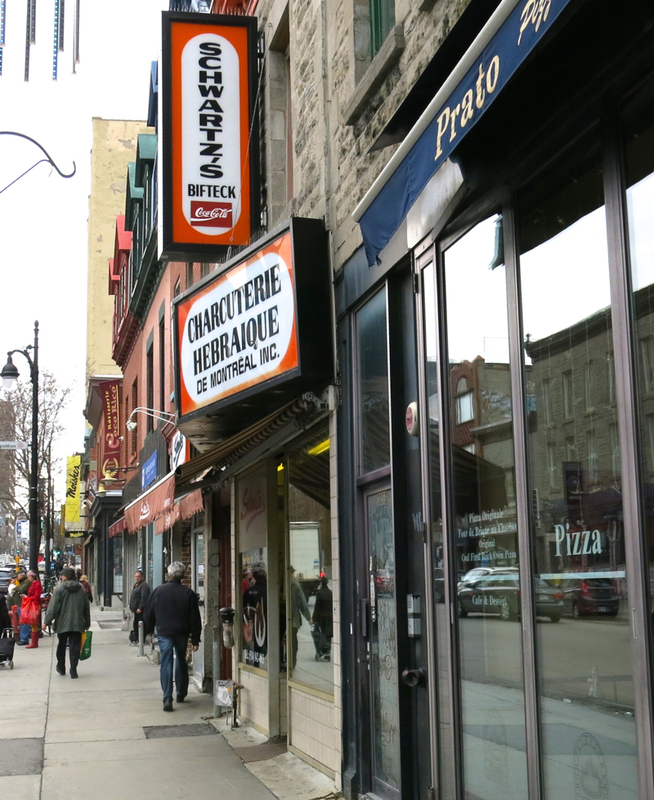 We were back when participating in a Montreal Food Tour and got 1/2 a sandwich of lean meat for our plate. No comparison. Certainly, delicious, but what did I tell you? Order fatty. Seriously, you publicly admit you bought some to take home? Hope you got enough, there should be quite a line outside your place by the time you get back! 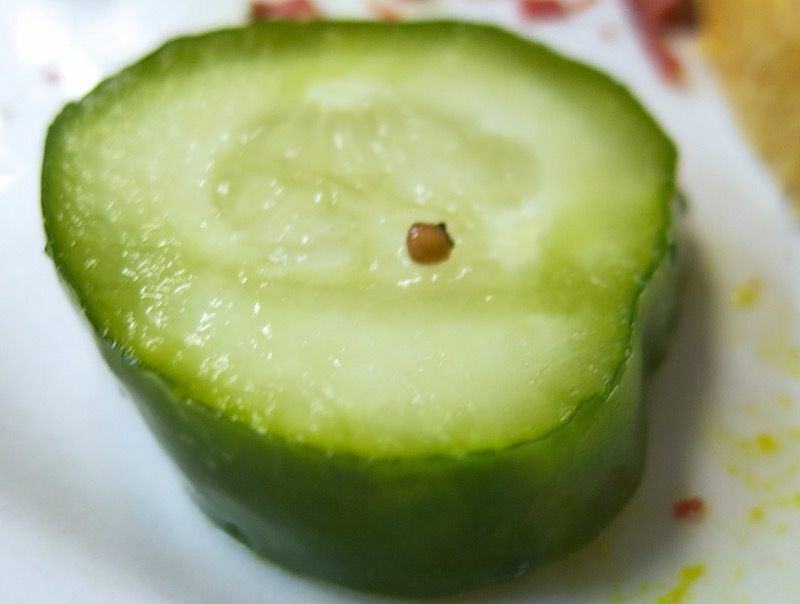 Besides having no sugar in the rub, how would you compare the flavour with pastrami? The half and full sours both look delicious.this post has brought up a lot of wistful, childhood memories of upstate NY. What a treasure you have in Schwartz’s. Hahaha, Peggy!!!! There will certainly be a line up at tomorrow’s table when I serve it for dinner. I wanted to buy a whole brisket. The look my husband gave me somehow found me changing my mind immediately! 🙂 I don’t even eat meat – because I usually cannot digest it, at all. Yes, somehow, I can digest this. Not too much of it, but enough to find it such a pleasure! The pastrami question is a good one. 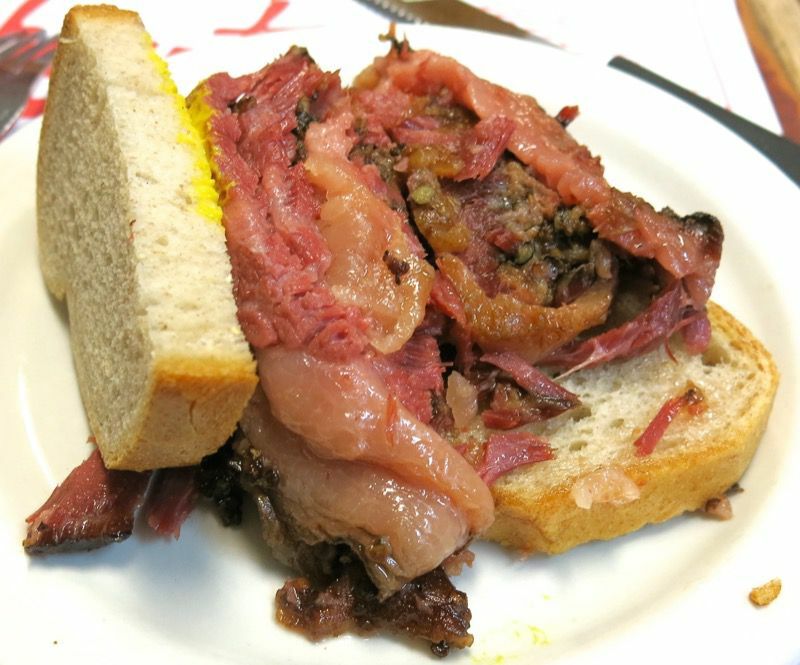 I usually eat my pastrami cold, very lean, and thinly sliced, so the difference is profound with those elements, alone. 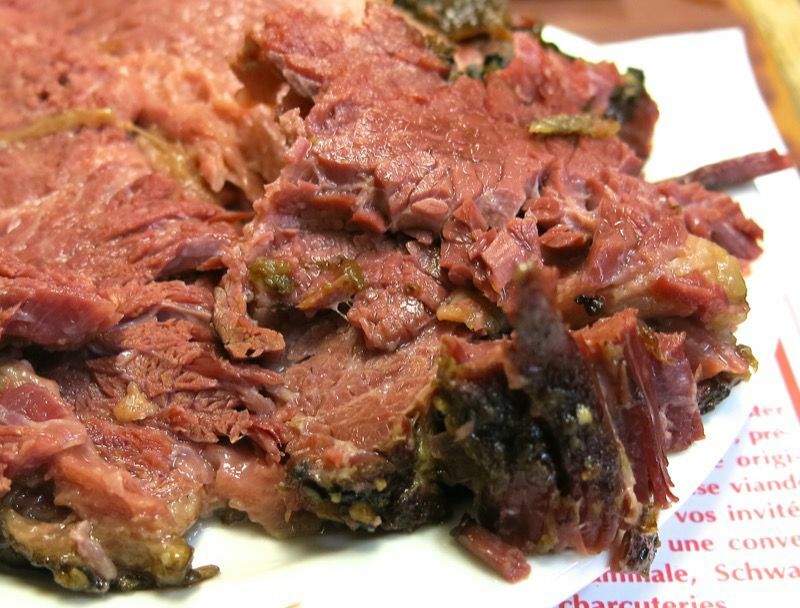 However, during my research and readings, for the most part (without doing my own tasting) people tend to say Montreal Smoked Meat is richer in flavour (fattier with a greater depth of flavour) and smokier – though the smoke is definitely nothing close to a Hungarian or Balkan double smoke. Hope that helps, and I, for one, am looking forward to Sunday dinner tomorrow! i wish i had known the ‘secret’ then – to order it fatty! i loved it the way i had it, but your pictures tell me that the fat is def a friend in this meal! thanks for the wonderful post, if i ever find myself at schwartzs again, (and i certainly hope i do) i will know the secret! And for me, Su, the Cherry Coke didn’t add anything nostalgic or any “pairing wonder”, but to many, it completes the deal. 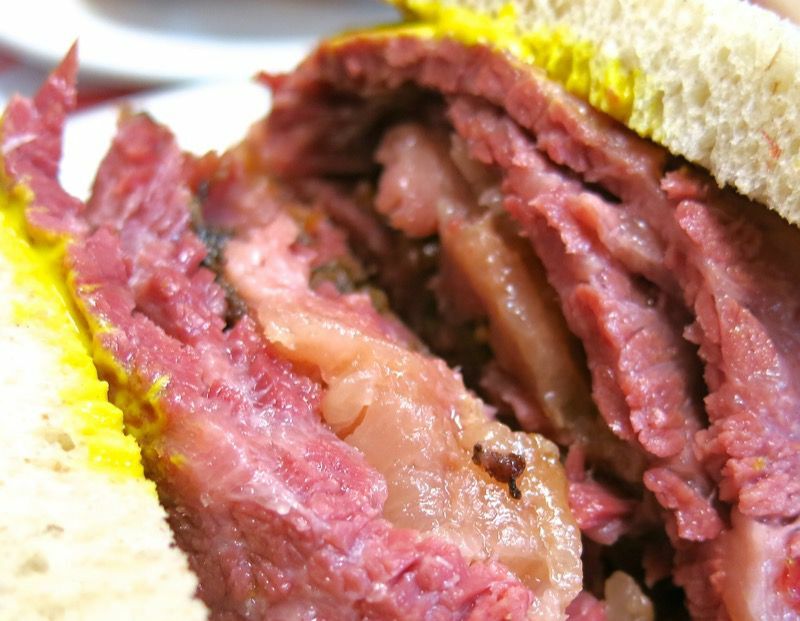 We love Montreal smoked meat, bagels and all the other great food the city has to offer. 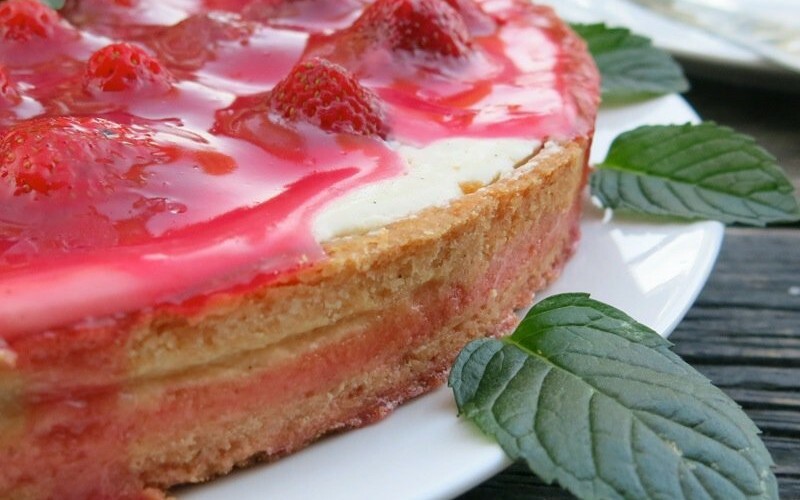 Thanks for making our mouths water! We didn’t get in to too many places. I was shocked at how “seemingly arrogant” some establishments were. 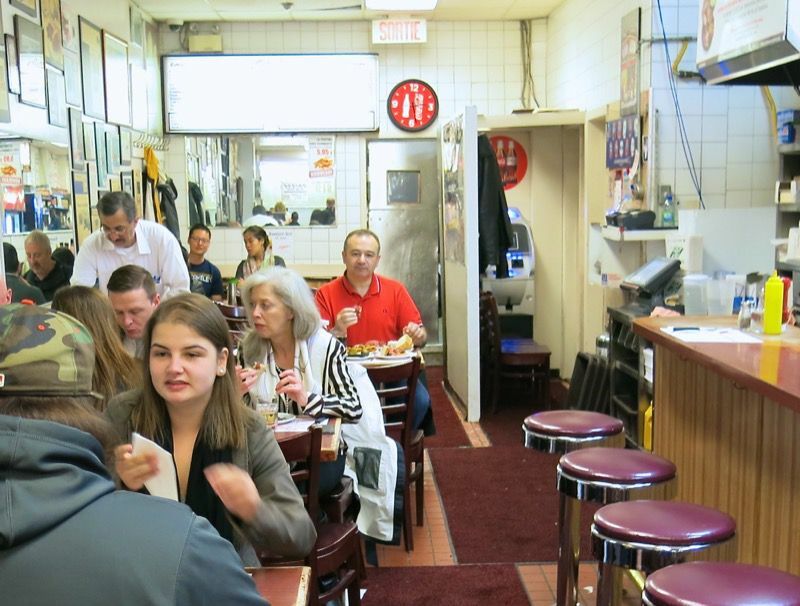 Joe Beef and Au Pied de Cochon never returned emails or phone calls for reservations. Really? Why have those two options under reservations as the only options and then not return the calls? Did have an incredible meal in Old Montreal at Les Pyrenees. Yum. Too tired to talk photos or think that day, but it was an unforgettable little late lunch early dinner. I love this post..and LOVE smoked meat..as a young young girl..I ate there..it’s a landmark here.. Wondering if Céline Dion is still part owner? 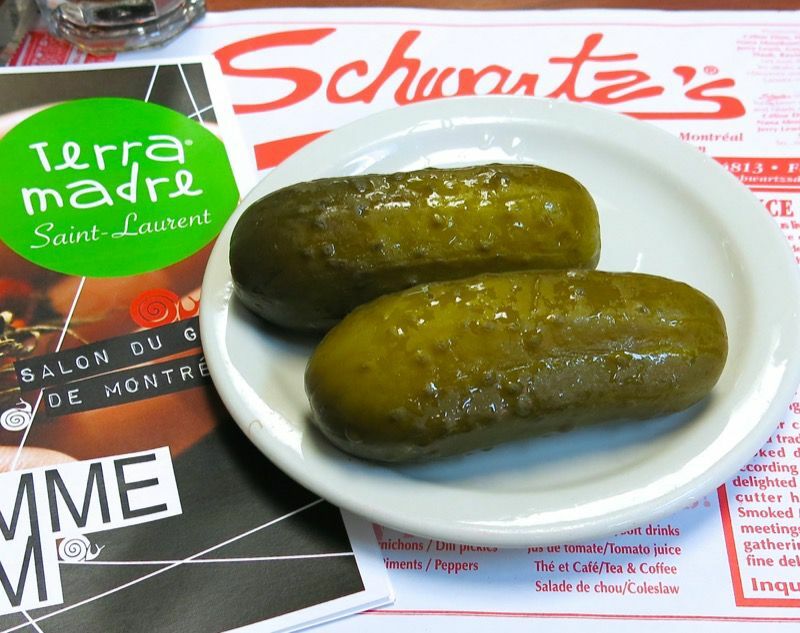 So we live in the country..and rarely venture into MTL..
doctors..yes.. the market..a show.. a brunch..a lunch..
and we never buy pre-packaged foods execpt for some special things..like spring rolls..egg rolls..
and Schwartzs’ smoked meat .. from IGA here:)and Dunn’s…from Costco.. Heaven on earth on Fridays. I could never eat meat on Fridays growing up..I am making up for lost time. I LOVE the taste..and say mmmmmmmmm..the whole meal..
Gosh – before we left, I should have asked you for a list, Monique. 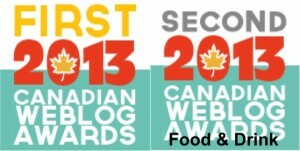 Headed back to Montreal for the Canadian Food Bloggers conference in the fall. Will you be attending? I will definitely ask you for a list before I am there this time! After almost 30 years in real estate here.. I am enjoying anonymity at last..no meetings..no social requirements..no conferences. Oh man, I love Schwartz’s Deli! I was there about 20 years ago, but the vibe of the place sticks to you like mustard on corned beef. Hope Montreal is treating you two well. I am sure the vibe hasn’t changed in the last 20 years – but as I sat there, I tried to imagine it 80 years ago…. Have to tell you, grew up in montreal, always went to Bens for smoked meay, beautiful! Of course they closed and my brother took mebto schartzs, wonderful, asvis Moxies, I am now drooling, I live on the wrst coadt now, believe me costcos montreal smoked meat can’t begin to compare. Aww! Well, there are other perks on the west coast, right, Donna? Like spot prawns and our gorgeous wild Canadian fish and seafood. Now, you have me drooling. Great pics Valerie! 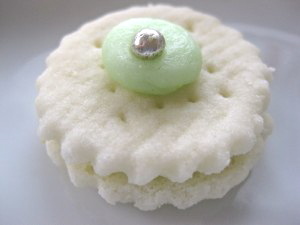 Do they ever make you want to take a bite!!! A classic indeed. I’ve indulged myself…how can you not!! What a thrill to find you visiting me today! 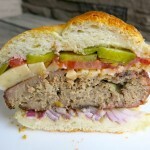 Does anyone in the East have a recipe that is close to what Canadian Classic tastes like? I would like to give it a go. 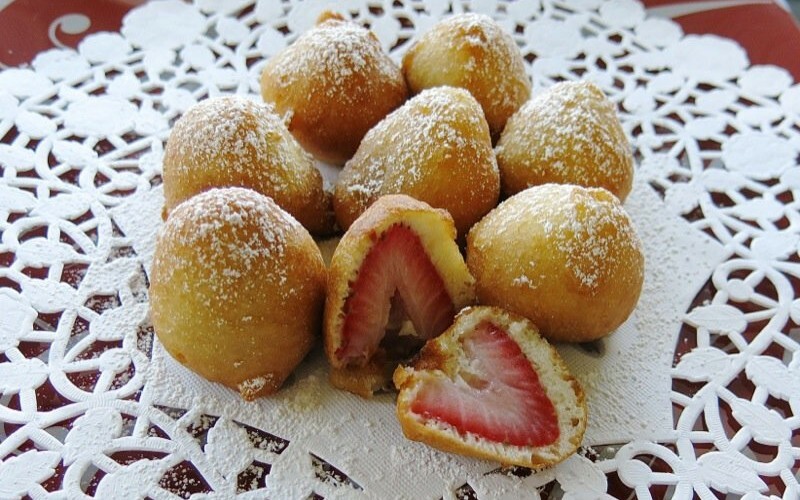 Ohh, you made my mouth water. That’s the first time the sight of fat did that to me! Yes, I wish the sight of fat was more compelling, eh? I never dreamt I would ever eat fat. Love it, now… in moderation, of course! And now, after slicing all that smoked meat for dinner you will have the bounty of ‘meat crumbs’. Nearly forgot, but I have made ham and sauerkraut balls with leftover ‘meat crumbs’ from pastrami; smoked meat might be even better! with 4 packets in it. 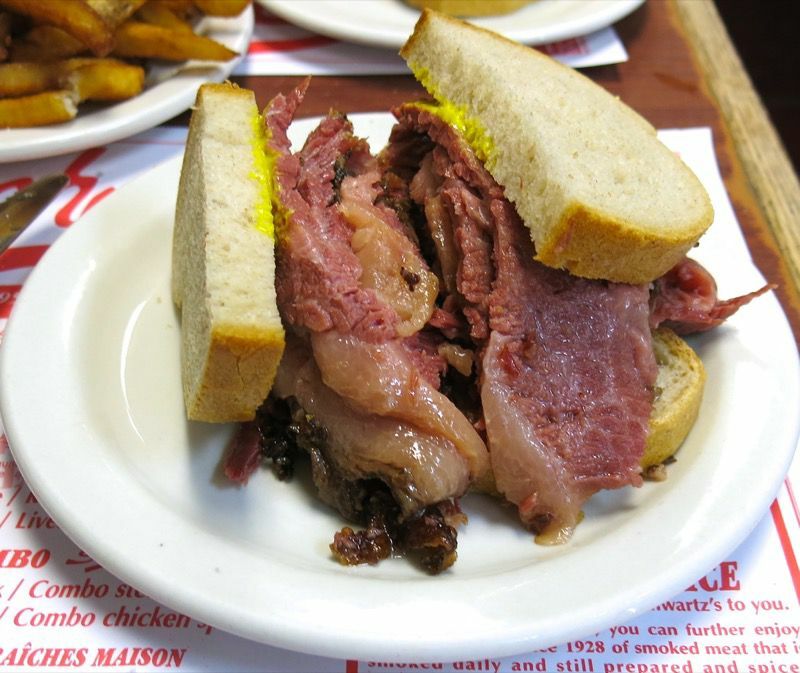 You would have to write to one of the Smoked Meat producers in Montreal. 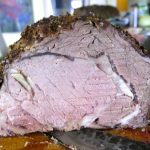 We have a cottage in the Laurentians, and last month I was shocked to find a lady carving fresh smoked meat in the Mont Tremblant IGA… I don’t know much about the details , but it had been smoked on site for 8 hrs., and the bones were still attached…the smell was amazing and we had to try. it.. for $10 we had the most amazing smoked meat for 3 on warm fresh bread! I hope this is a regular feature, cause it was that good. And as an ex-Montrealer I know smoked meat. Thanks for letting us know! It seems as though the Mont Tremblant IGA has also learned a lot about how to make great smoked meat! Wonderful to hear that! I would love to be able to do a side-by-side tasting of the most well known smoked meats in Montreal, but that is not an easy thing to do… as each would have to be warm, and just freshly served, as well. Such experiences are so revealing regarding my own palate, if nothing else. 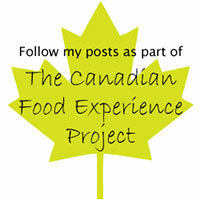 Thrilled you found a place close to your cottage for a great home food treat!